These are double edged carbon steel blades that are suitable for use with vibrating microtomes. 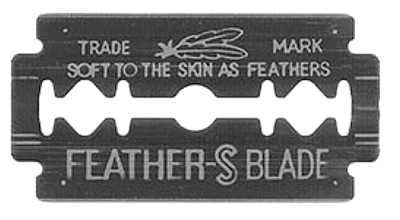 The blades can be broken in half lengthways. The cutting edge has a length of 37mm, and thickness of 127µm. PTFE-Coated stainless steel, individually wrapped and bulk packed. Suitable blade for Microslicer™, Vibratome® and other brands of vibratory microtomes. This is a perfect tool for retrieving free floating sections from the bath. Made of glass. Acceptable for use with Microslicer™, Vibratome® and other vibratory microtomes.Single edge, 20 per dispenser. PELCO® Pro CA44 is an instant tissue adhesive based on cyanoacrylate. Developed to glue tissue on specimen holders used in vibratory microtomes. Although the tissue adhesive is instable in boiling water, it is recommended to use #19920 PELCO® Pro Cyanoacrylate Debonder to remove or clean cured cyanoacrylate. Supplied in 20ml bottle with dispenser tip, closed with PTFE coated steel pin for optimum seal. Compatible to Loctite 404 tissue adhesive. The DTK Microslicers™ have a unique design for the vibratory motion of the cutting blade. They are made to cut sections of extremely soft tissues like brain, liver or similar difficult-to-section material. 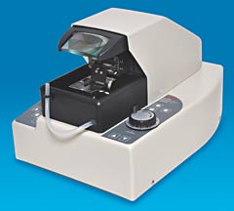 The Microslicers™ line of instruments are well known for their quality and their superior results, enjoying an excellent reputation in the neuroscience research community. The Microslicer™ is an instrument used to cut sections of fresh or fixed animal or plant tissues without freezing the tissues. 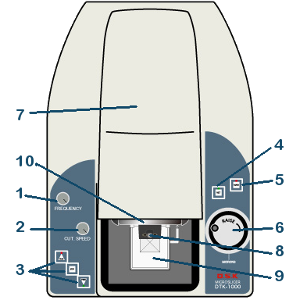 Fresh tissue sections (10 to 500 micrometers in thickness) are used in anatomy, physiology and pharmacology research areas. In addition, fresh botanical tissue sections are also used in the various research fields. Histochemistry and cytochemistry procedures require incubation of tissue sections in various reaction media. Large tissue blocks and thick tissue sections often produce non-specific deposits of reaction products and areas of no reaction in the center of the tissues. This is due to the poor penetration of the reaction media into the tissue. The use of thinner tissue sections is required to facilitate the penetration of the reaction medium into the tissues. DSK Microslicer™ (DTK-1000, DTK-Zero1 and DTK-3000W) are instruments for cutting non-frozen tissue sections easily and efficiently. DTK-3000W - automatic system for serial sectioning and includes the Microslicer Zero Z technology. The Microslicer™ vibratory tissue slicer systems feature a constant cutting amplitude and a selectable frequency. The DTK-Zero1, and DTK-3000W models feature the Microslicer™ Zero-Z technology with a redesigned cutting head for dramatically reduced Z-axis vibration. All systems have a bath with a simple but effective drain. The specimen tray allow for reduced use of solutions and cooling around it. The layout of the switches on either side of the tray allows for easy operation and reduced spillage on the controls. A high quality, basic vibratory microtome, suitable for a busy laboratory, with many users. 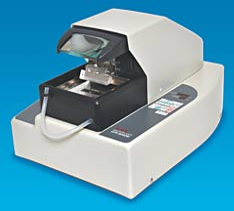 This model Microslicer™ with Zero Z technology dramatically reduces the Z-axis vibrations to approximately 2.5 microns. It is also equipped with a specimen retraction system. 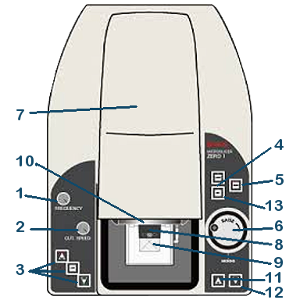 The specimen advance is manual but the specimen can be moved up or down by a motorized button. A function switch can stop, advance or retract the cutting action, saving valuable time. This is the most sophisticated model. The maximum specimen size is 70 x 70mm, in addition to having all the excellent features of the model DTK-Zero 1. Fully automatic single or continuous mode. Selection of section thickness is possible at one micron units with a high performance stepping motor for specimen advance. 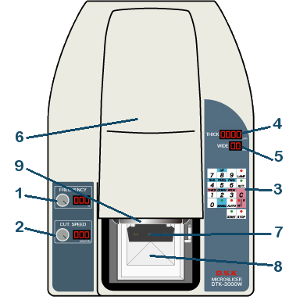 Equipped with a specimen retraction system. Forward and reverse blade movements are selectable at 1mm intervals. The retraction mechanism is a function included in the DTK-Zero1 and DTK-3000W models that prevents the retracting blade from touching the face of the specimen. The specimen tray is lowered by 120 micrometers after the cutting of each section and is raised by exactly the same distance when a new cutting cycle starts.